chess is interesting / Coffee / Insight into life / Smile! Men vs Women: who drinks more coffee? Most people just assume that coffee is not a gender issue, but they would be wrong. 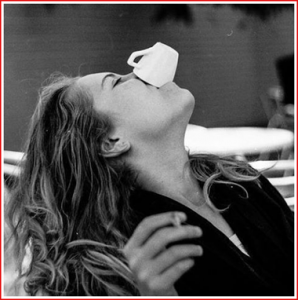 More men (50%) drink coffee than women (32%), and the average man also drinks more coffee than the average woman. It seems that most women prefer tea. Another surprising discovery is that men are not fussy about the quality of their coffee, prefer it black and sugar is not necessary, just an option. Women, on the other hand, are more willing to pay a bit extra for a higher quality coffee, generally prefer it sweet and are especially interested in lattes and other such fancy items than men. On the 15th of September I covered a fascinating story about the Paraguayan Women’s Team’s efforts to raise money to go and participate in the Batumi Olympiad. 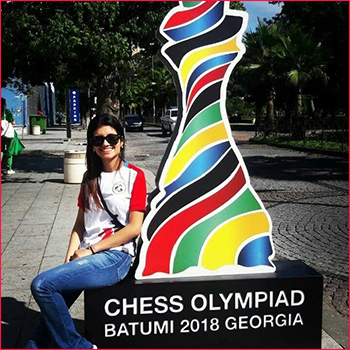 The Paraguayan Chess Federation would only pay some nominal expenses for the players while at the Olympiad; the Batumi organizers would pay food and lodging; and the Secretaría Nacional de Deportes would pay the airfare. But who would pay for the coaching and the time that the women would have to take off work so that they could participate? Without this money the players would not be able to participate. The women calculated that they needed some 2,000 plus euros each. In a stroke of genius, the women approached a publicity agency for ideas and the result was the above poster and several fund raising events. The press, especially, was helpful in generating interest. This is where things became dirty. Perhaps the Paraguay Chess Federation was embarrassed by the women’s success, the next thing that the women knew is the president of the Federation, Ronald Zarza, began to threaten them with serious punishments if they dared to wear the T-shirts! This amounted to pure intimidation on the part of the president. Fearing possible legal problems and costs, the women were too afraid to wear the T-shirts. 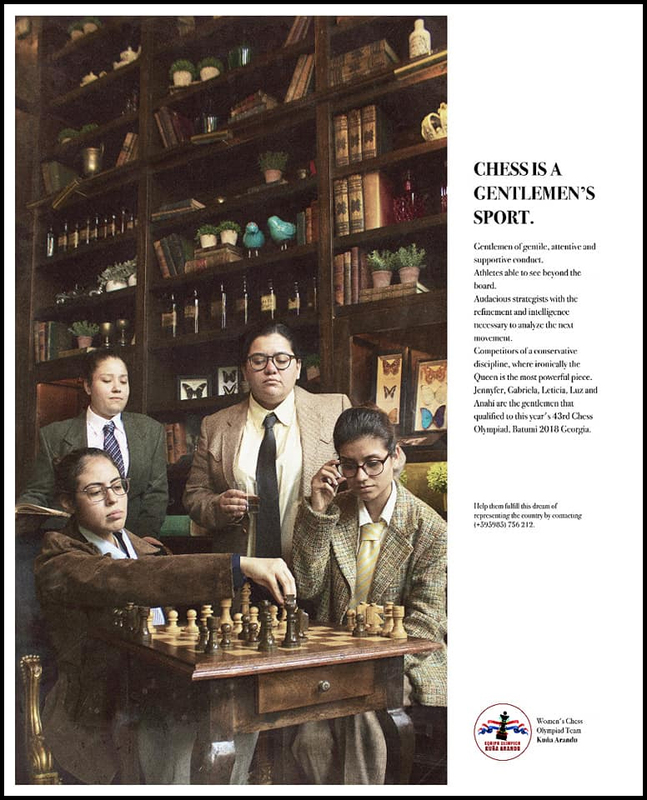 The Paraguayan women carefully explained their side of the problem, that the chess federation naturally discriminates against women players in many ways. That seeking sponsorship was necessary to address one of the most obvious examples of this discrimination. 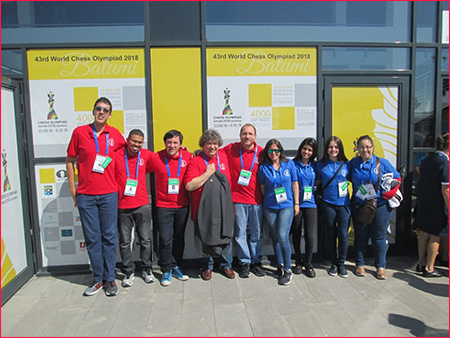 So far the public reaction has been very positive, and the women even managed to get a meeting with the Director of the Secretaría Nacional de Deportes, to discuss ways of handling similar situations in the future and to reinforce treatment of women inside chess. Of course, this story is not finished yet, but Zarza, the president of the Paraguayan Chess Federation, must be very nervous if he wants to keep his job. I will keep my readers up to date as things develop. 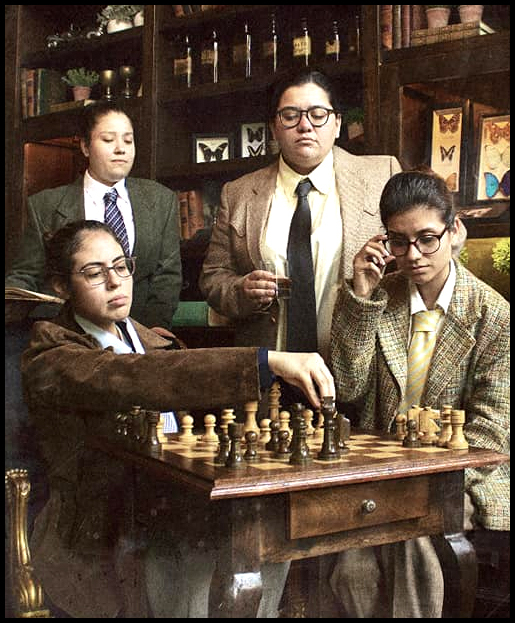 But the moral of this whole story must be something along the lines that you DON’T mess with chess playing women in modern day Paraguay! 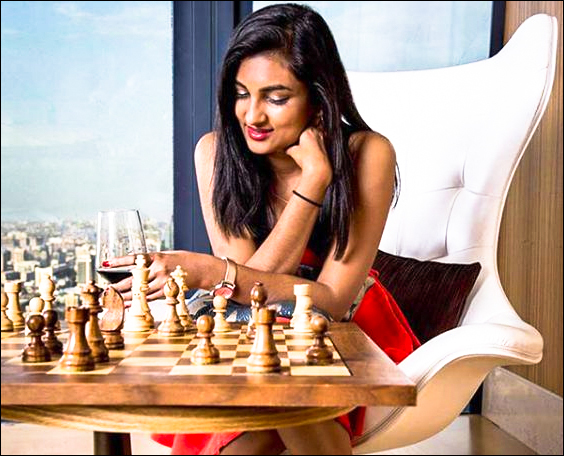 Twenty-eight year old Yolander Persaud was elected one of the 5 members of the FIDE Ethics Committee during the Congress held in Batumi. The Guyana attorney at law has an impressive CV for someone so young: VP of the Guyana Chess Federation; FIDE arbiter; Director and Secretary of the American Chamber of Commerce in Guyana; Certified Anti-Money Laundering Specialist, amongst other things! You can read much more about Yolander HERE. 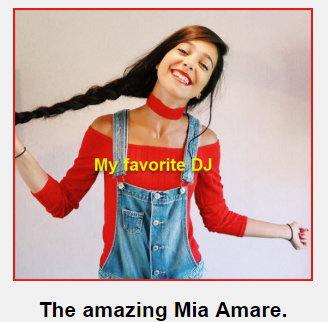 I put a link on the side bar to her sometime last year, along with her INSTAGRAM and MIXCLOUD links. Do take a look. You can also find her on YouTube. ENJOY! Is there CHESS after retirement? 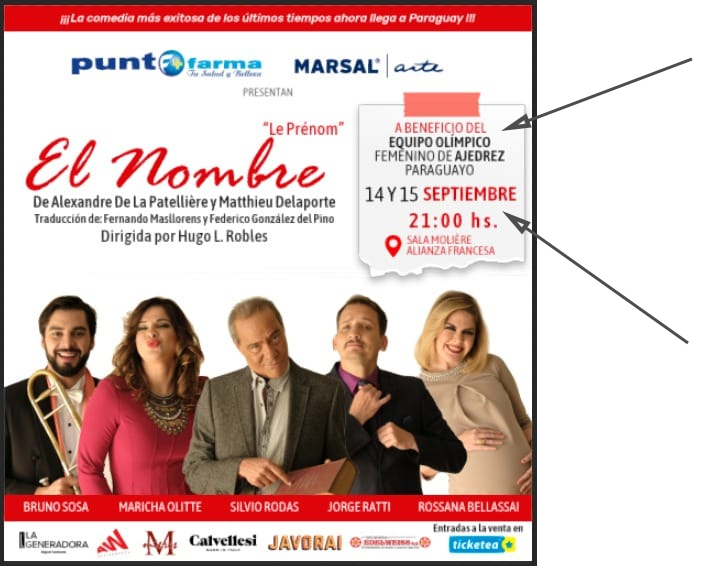 Judit gives the answer: Yes! There is MORE chess! 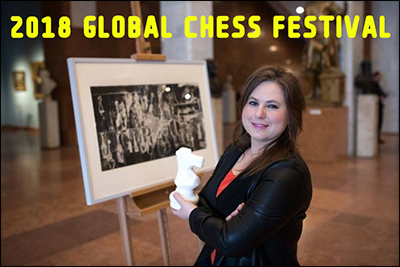 Her ‘Global Chess Festival‘ initiative has been running for a few years now, and this past weekend saw the 2018 edition in her native Budapest. 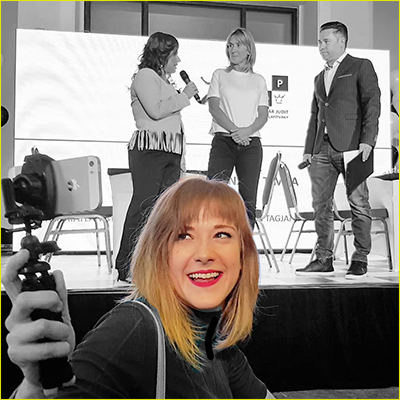 The multi-talented Anna Rudolf was very much involved in putting the festival online. Anna is one of my favourite chess personalities on the social media. 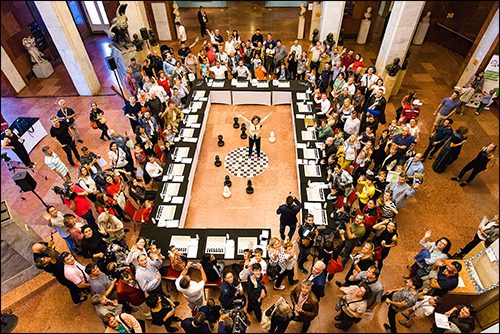 There is so much more that I could write of this great festival, but I will save it for later in the week when I discuss Jason Kouchak and his truly amazing Queen’s Journey initiative to promote chess playing amongst youngsters and especially young girls. (I want to thank Jenny for pointing all of this amazing stuff out to me!) In the meantime, there is a wonderful piece of music by Jason on my side bar, called Chess Romance: Windmills of your Mind. Take a quick look! Next story Nice gory finish!